Free Ideas: What Is Creativity For? 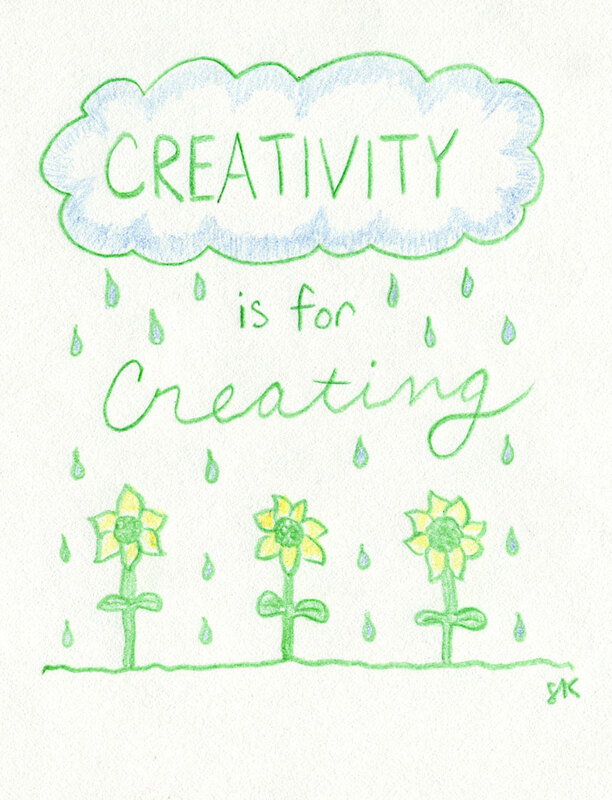 For the past week, I've been thinking a lot about the purpose of creativity. Everyone seems to want it, but what do you do with it once you have it? Like the proverbial dog chasing the car, if someone suddenly waved a magic wand and made you more creative, would you just stand there, stupefied, and wonder, now what? I've been struggling with this because I feel like I have plenty of creativity but not enough of the things I really need: focus, drive, organization. Without those other things, what use is creativity? And if I had those things, would I even need creativity? With focus, drive, and organization, I could accomplish a lot of things. I could get the house clean, our finances in order, our family schedule organized, fill out my timesheet accurately and in a timely manner. None of that requires creativity. In fact, creative impulses distract me from doing the things necessary to live a proper life. But I have the creativity anyway. It's not going away, so I might as well make the best of it. What useful things can I do with it? And then the other morning, just as I woke up, it hit me. God is called the Creator, and humans are supposed to be small, imperfect images of God. We, too, are creators. It would be a shame to ignore that heritage.